A unique relaxation and bonding session for parent and baby. 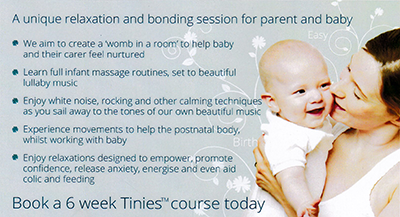 Enjoy relaxations designed to empower, promote confidence, release anxiety, energise and even aid colic and feeding. Email Sally for more details or visit our website here. "A great venue for our wedding reception."